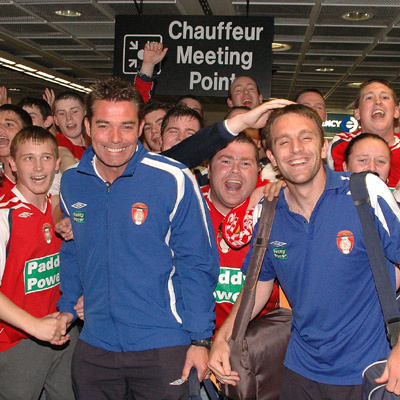 The players and officials of St Patrick's Athletic were given a hero's welcome at Dublin aiport last night as they touched down following their flight from Moscow. 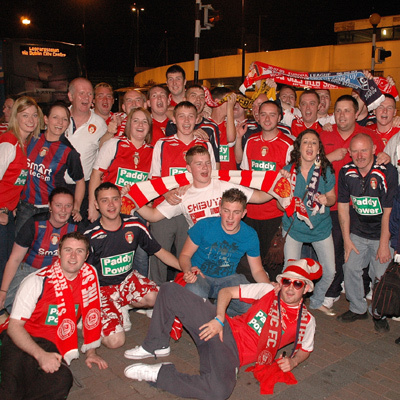 Over 60 Saints' supporters made the journey out to Dublin airport to greet the players who seemed a little surprised by noise and colour generated by the large numbers. Although tired from their exertions over the past few days, the players took time out to sign autographs, pose for photographs and chat with fans.